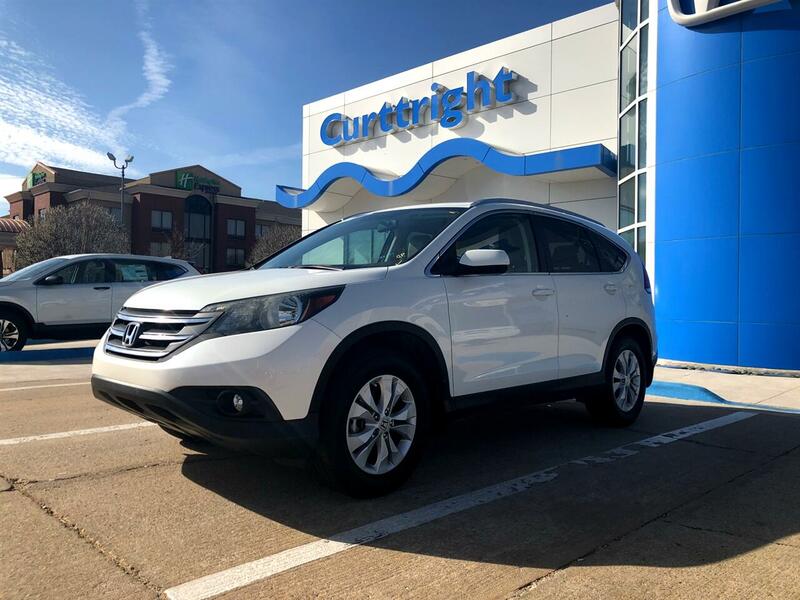 This outstanding example of a 2013 Honda CR-V EX-L is offered by Curttright Honda. If you're in the market for an incredible SUV -- and value on-the-road comfort and manners more than ultimate off-road prowess or tow capacity -- you'll definitely want to check out this Honda CR-V EX-L. Outstanding fuel economy and sleek styling are two great reasons to consider this Honda CR-V. A Honda with as few miles as this one is a rare find. This Honda CR-V EX-L was gently driven and it shows. Most vehicles are equipped to get you and your passengers from A to B in comfort and style. This Honda CR-V makes that trip more entertaining thanks its premuim entertainment package. Added comfort with contemporary style is the leather interior to heighten the quality and craftsmanship for the Honda CR-V This pre-owned Honda CR-V looks like new with a clean interior that's been well-kept. More information about the 2013 Honda CR-V: Honda has a successful formula for their compact SUV and they see little reason to deviate too much. All CR-Vs come with a capable 4-cylinder engine, a cleverly designed interior and compact exterior dimensions. This is all wrapped up in attractively designed sheet metal and sold with available all-wheel drive at a competitive price. While some competitors have allowed their vehicles to balloon in size, features and price, Honda has steadfastly stuck to the winning formula that has made every generation of CR-V a success. Strengths of this model include Practical and well-equipped with available all-wheel-drive.